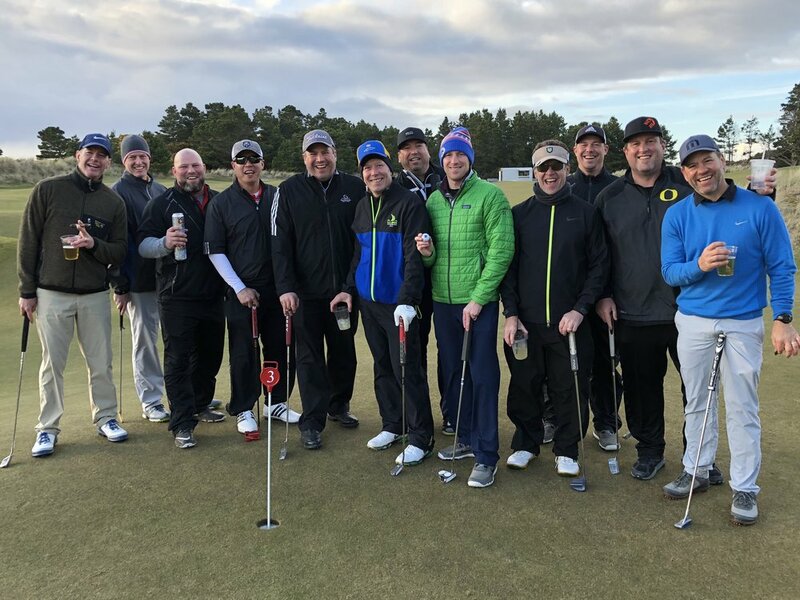 A few weeks ago, The Nielsen RE Group took a collection of clients south to Bandon, Oregon for a weekend of golf at the famed Bandon Dunes Resort, where a true Scottish spirit of the links meets rolling hills and the rugged Oregon coast in five distinctive courses. We enjoyed playing a few rounds of golf before we stopped into one of the resort restaurants for a quick bite and a beer, all against the backdrop of Oregon’s gorgeous terrain. The group was thrilled to use custom golf balls and markers while playing. In the spirit of the golf course lifestyle, Hunter Finch of Cascade Sotheby’s International Realty shared two amazing residences within close proximity to Bandon Dunes and all the recreation it affords. Nestled in a forested, secluded five-acre estate parcel in an exclusive neighborhood, this exquisite Scottish Lodge is located just ten minutes from Bandon Dunes Golf Resort. It offers a spacious, open layout and an interior design that accommodates large entertaining, while also offering comfortable, intimate spaces for reading, art and conversation. Surf Song is a casual yet elegant estate situated just north of Bandon Dunes. Surrounded by fragrant gardens within verdant forests, the home sits atop a magnificent promontory with panoramic views from every room. The home was built to exacting standards with every amenity you’d expect and a harmony with nature and the rhythm of the ocean. Got the golf course lifestyle on your mind? Contact Nielsen Group today to learn more about embracing some of the northwest’s amazing golf offerings.